Would like your opinion on the problem. I think its an injector issue as I've heard similar sounding engines on Youtube. I've started taking off the air inlet pipework and discover a fair bit of oil plastered over the backside of the engine cover however the engine below looks clean and no sign of any oil and/or diesel which is a bit of a puzzle. Injectors look clean...at least as far as I can see from the outside! The only engine fault codes I have relate to a failed throttle body, bad air sensor and a failed glow plug. I have purchased three 2nd hand injectors and will remove the four fitted giving me seven which I will have tested and hopefully end up with 4 verified working injectors which I will refit. 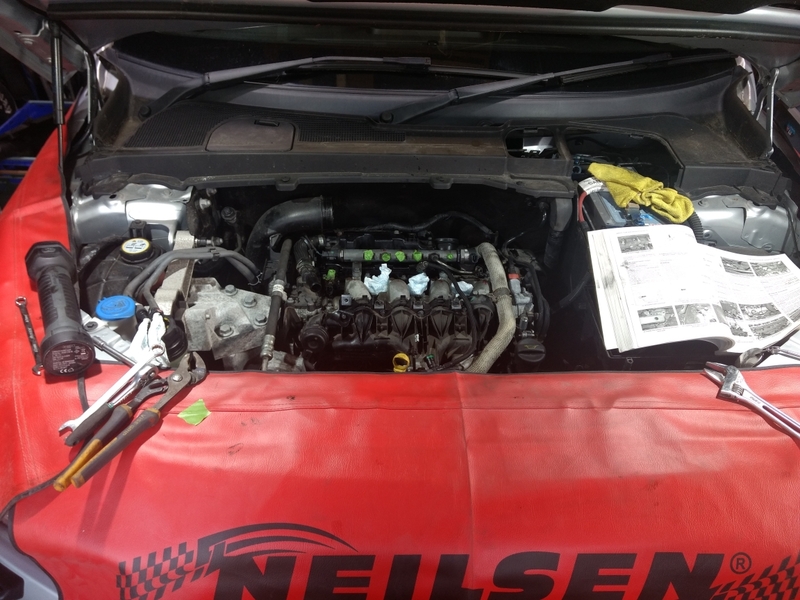 While doing this I will remove inlet manifold and replace with a non swirl valve type, clean EGR and associated pipework and replace glow plugs.....as well as changing throttle body and air sensor. 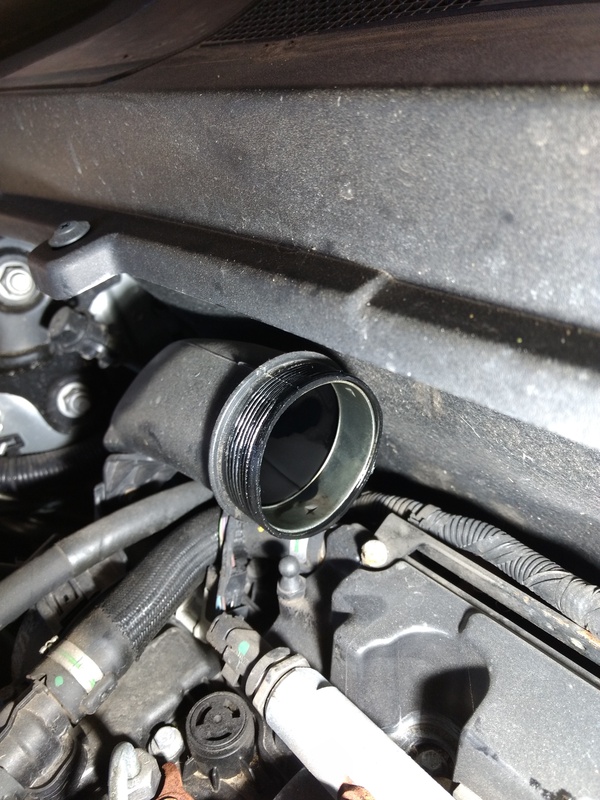 That point of the air inlet pipe is a common source for oil drips, it gets there via the PCV pipework. A common quick fix is to replace the original spring clamp with a jubilee clip. Hung like Einstein, smart as a horse. DEFINITELY get your second hand injectors properly tested...!! I've just had to get two brand new (i.e. 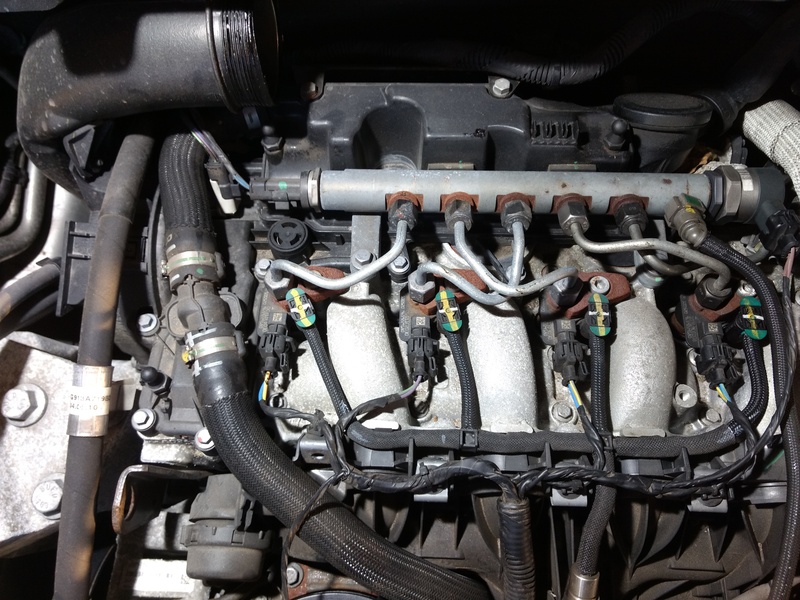 NOT re-conditioned) injectors swapped out following a complete engine transplant... 2009 Freelander 2 HSE, just had a new engine fitted so good for another 200K miles at least! I will take all seven injectors to be properly tested at pressure and reported so I know what I'm working with.Hopefully will end up with at least four that are good to use. One injector still to come out! In days gone by, diesel injectors although cumbersome to fit, were generally seen as plug and play. 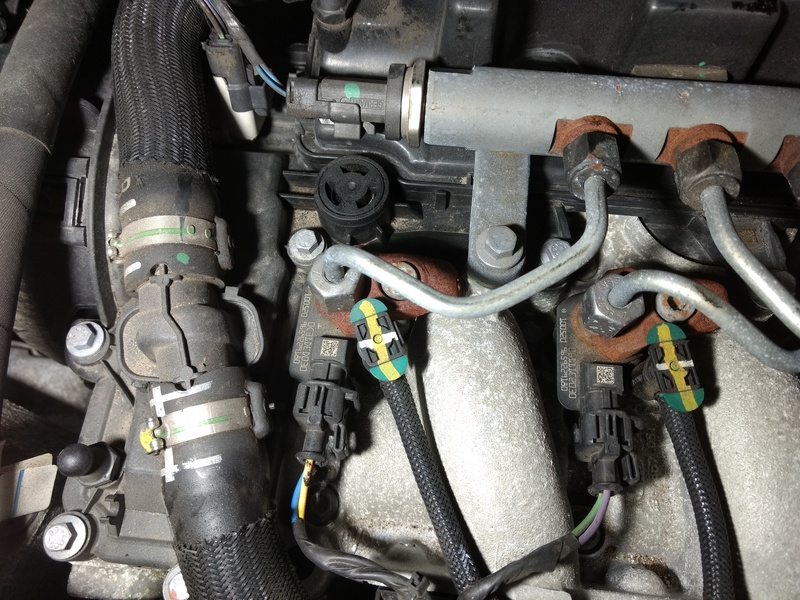 However, since the advent of common rail diesel systems, and in turn common rail injectors, the garage can often be left confused or unsure as to whether an Injector needs coding or not. Common rail diesel systems offers a number of benefits over traditional diesel systems, such as improved performance, lowered fuel consumption and quieter engines. Another significant advantage of a common rail system is its ability to uniquely reduce emissions, the buzz word on the lips of every Eurocrat. Performance – In some systems it may be possible to drive away and not notice any difference. 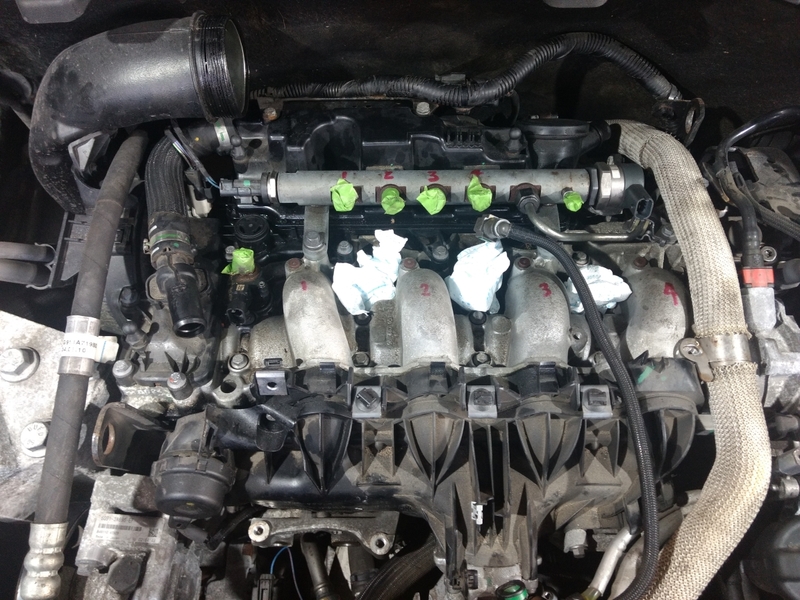 In reality, if the injectors have not been coded, it is unlikely that the customer will be getting the optimum performance from the vehicle and may well end up back at the garage with an increase in fuel consumption or black smoke etc. Poor / lumpy running – as the injectors are not coded, the ECU will carry on fueling as if the previous injector was still present, which can cause poor performance. The engine management light is also likely to come on necessitating another visit to the garage. Thank for the detailed input. I believe a 2010 FL2 should be OK to run without changing the injector codings based on other reports I've read but of course fine tuning will give improvement. I would plan to record which injectors are installed where and have this coding done by a garage with required equipment. To his end I have recorded following data from the injectors but which is the important IMA code....do you know? DELPHI Common Rail Injectors – All require coding to the engine. Typical code is 16 alphanumeric characters (C2i Injectors) or 20 characters for more recent applications (C3i injectors). Code typically found on Injector head. DENSO Common Rail Injectors – As a rule, all require coding, although some very early releases may not. Typical code length is 16-24 alphanumeric characters dependent upon vehicle marquee. Code typically found on Injector head. You can also use the QR code found on the injector for this information. VDO/Siemens Common Rail Injectors Injector’s – Only VW applications at this moment require coding. Typical length is 6 digits and found on the injector head. BOSCH Common Rail Injectors – As a rule all require coding, although some earlier releases may not, in simple terms if an IMA code is present then the injector will need coding. Typical length of code is 6-10 digits and found on Injector head. N.B. – The coding information above is related to new diesel Injectors. 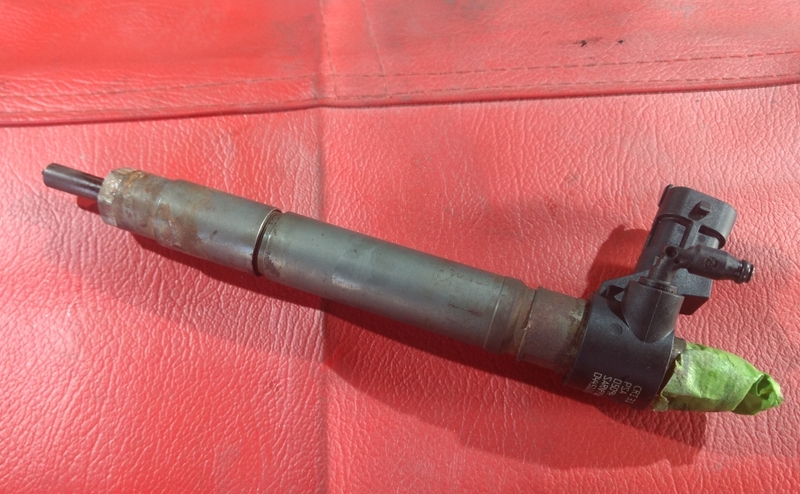 A remanufactured injector if purchased from an Authorized Field Repairer will also have a new calibration code, which is typically affixed to the injector as a sticker or label. Well.......new injectors now fitted along with new timing belt/water pump and starter. Sadly this has made little difference to my noisy smoking engine. Maybe a bit less grey/white smoke which still smells like diesel but as noisy as ever. 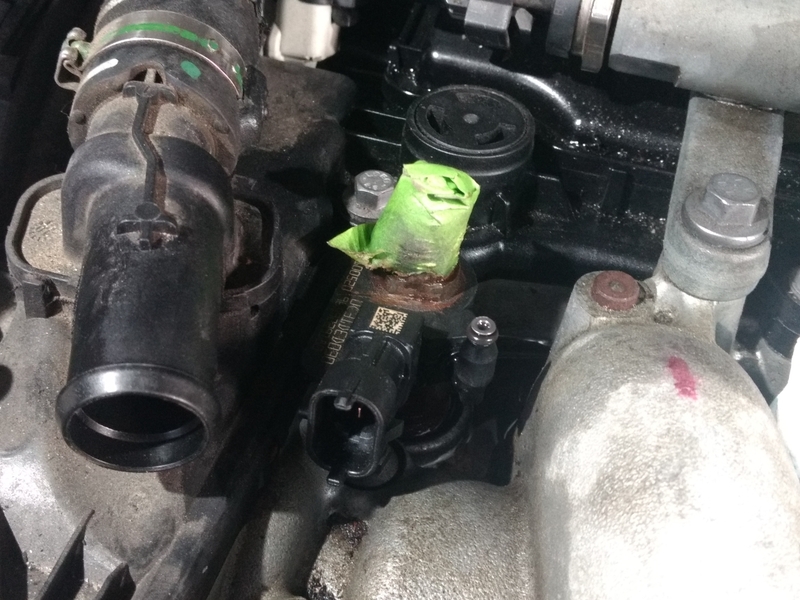 Its a as I had convinced myself that it was faulty injectors. The noise seems to be coming from top of engine Just what would cause this sort of noise? Car starts OK.
Now zero error codes being reported. Injectors not coded to ECU? Failed cylinder head (noise is escaping gasses?) 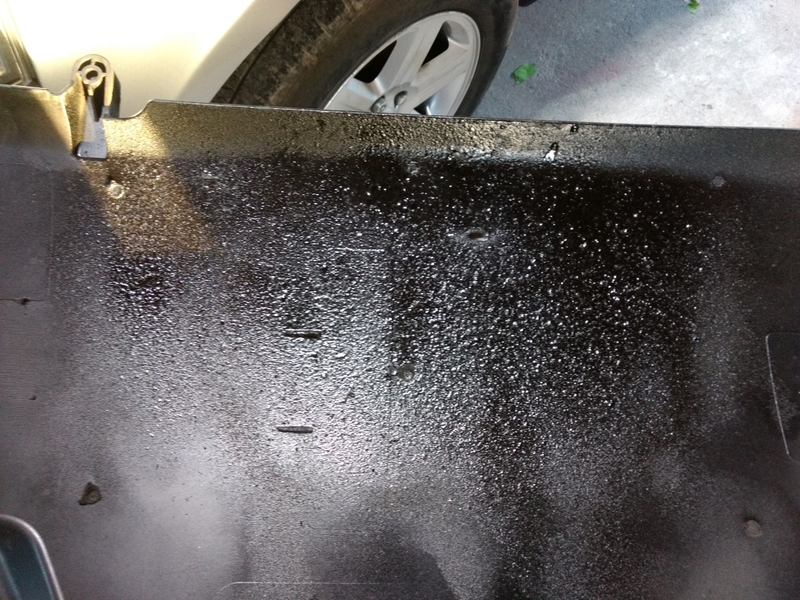 Coolant is clean and no contamination obvious in the engine oil? It's obvious, from the engine vibrations and frequency of sound, that one of the four cylinder entities is not working properly. I, for one, I would disconnect the electrical connection to each injector, one injector at the time, and see if it's the same. Beware, if you will do it!!!! Stop engine, disconnect injector, start engine, listen, stop engine..... etc. Disclaimer: of course, if you will do it, you will do it at your own risk!
. Roads? Where we're going we don't need roads... Go beyond !